The following slideshow of Welsh Terrier pictures shows how attractive these dogs are, as well as how versatile they can be. Slightly less active than many Terrier breeds, they enjoy rugged treks through the countryside and still make good family companions. This is a dog that can share your adventures, but you need to socialize him around other dogs and pets early on. Welsh Terriers are keenly observant of everything that goes on around them. Still, they have a bit more self control than many of their fellow Terrier breeds. Welshes were developed to hunt game and vermin, so be careful with them around other pets. These dogs stand about 15 inches high, with females averaging a bit smaller than males. The average weight is about 20 pounds. Welsh Terriers easily live 12 years or more. Common health issues include glaucoma and skin problems. The Welsh Terrier's energy level and determination are well-suited for the sport of Canine agility. The obstacle course mimics many situations these dogs would encounter in the field. Looking like a small Airedale Terrier, the wiry coat of the Welsh Terrier should be plucked at least twice a year to keep it looking dapper. These dogs are extremely photogenic when properly groomed. 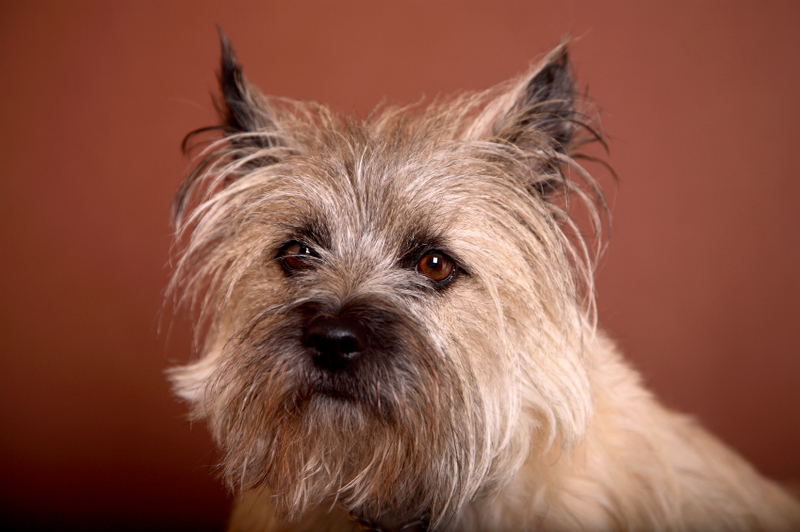 Want more Terriers? See these Wire Haired Fox Terriers.